YITH WooCommerce One-Click Checkout integrates its features with the ones from the premium version of YITH WooCommerce Stripe plugin, to allow users to complete their purchases with just one click without being redirected to the correlated payment page. 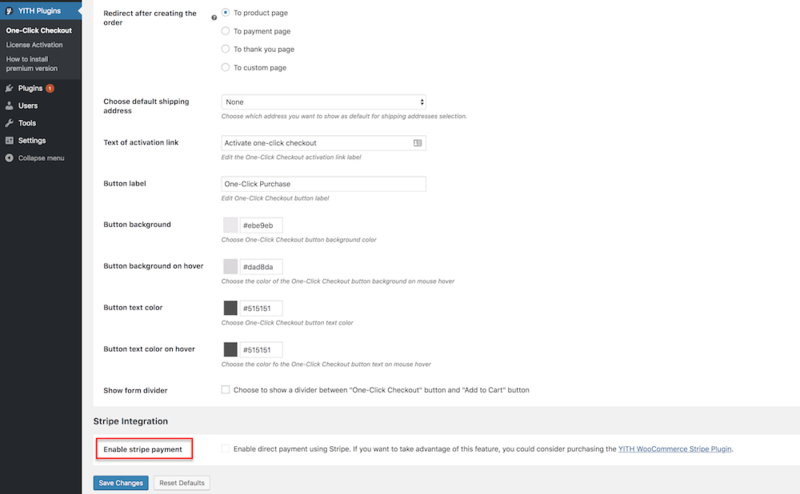 To enjoy these advantages, activate YITH WooCommerce Stripe and enable the “Enable stripe payment” option that you will find in the YITH WooCommerce One-Click Checkout settings panel. After the first one-click purchase made with Stripe, further orders done with the one-click button will be automatically processed with Stripe, therefore no payment method will be requested. 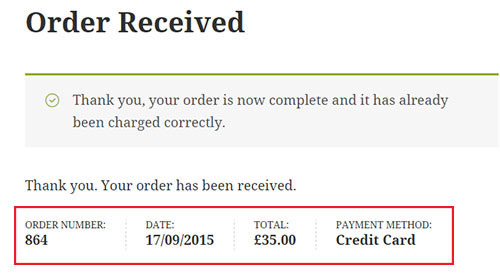 The system will proceed the payment using the same billing information from the last purchase. In case users do not like this behavior and want to select a different payment method for each purchase, they can uncheck the option that can be found in “My account” page.